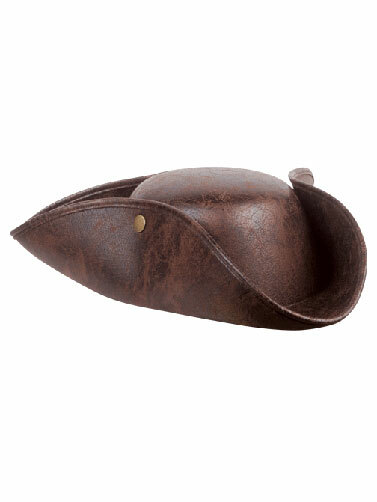 Brown Leatherette Pirate Hat has the look and feel of an authentic leather pirate hat. 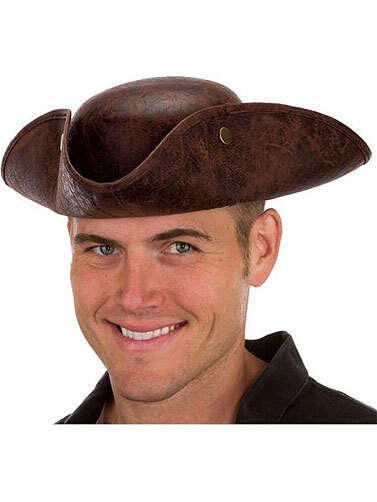 Replicating an18th century "cocked" hat and features working side snaps for the brim. Compliments any pirate costume and works for both male and female pirates. Adult size. One size fits most.